Home Transportation Can California Turn Its Soul-Crushing Traffic Into Renewable Energy? Can California Turn Its Soul-Crushing Traffic Into Renewable Energy? Sitting in traffic on the 405 may feel like a total waste of energy—both yours and your car’s—but in the future, the vibrations your car makes on the road could be harnessed to generate electric power. 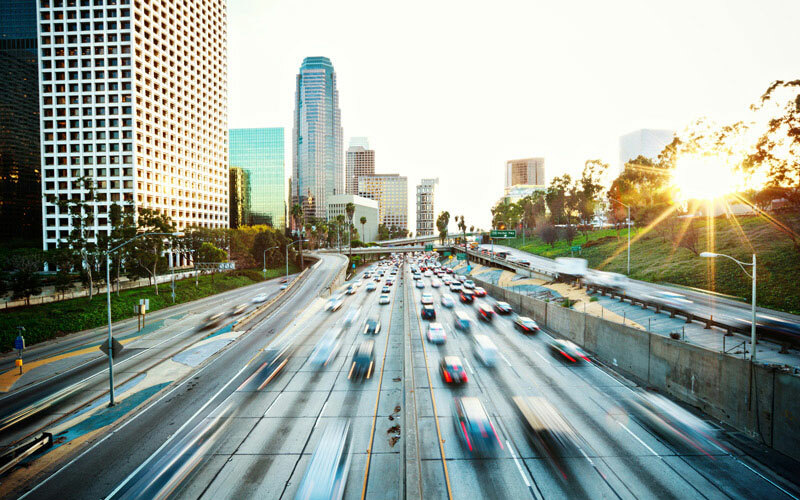 As reported in the San Franciso Chronicle, the California Energy Commission has approved funding for two projects with the potential to transform California’s busy freeways into a source of renewable energy. According to the CEC, “The University of California, Merced and PYRO-E, LLC will receive grants to demonstrate electrical harvesting systems built into roads.” Both projects use piezoelectricity, which is electricity generated when pressure is applied to certain materials. Small piezoelectric crystals embedded in the road surface could capture energy to be stored in nearby batteries. In 2015, in an effort to reduce greenhouse gas emissions, California set a statewide goal of having 50 percent of its electricity be derived from renewable energy sources by the year 2030. The plan to use freeways as a source of energy could help California achieve that goal. Unlike solar and wind power, piezoelectric power is not reliant on sunlight or certain weather conditions. The new projects will help determine if the technology can be cost-effective on a large scale.